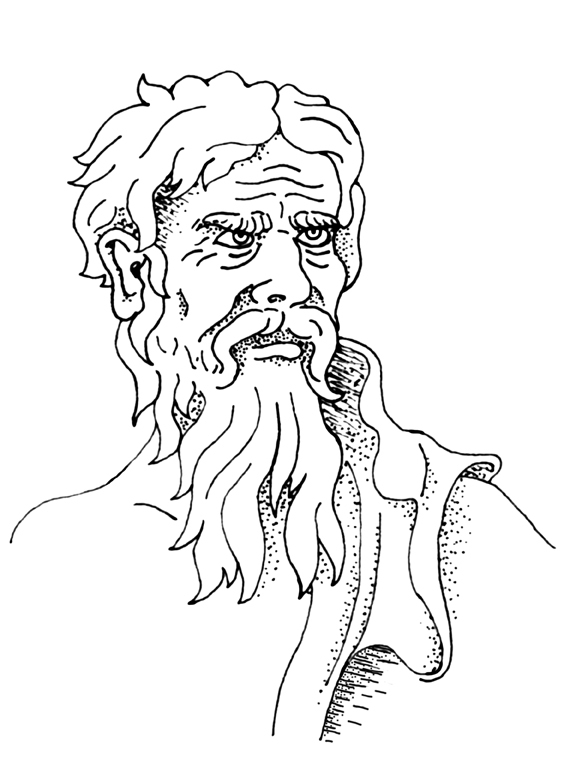 Heraclitus was the philosopher who said that you can’t step in the same river twice, because both the river and you have changed. 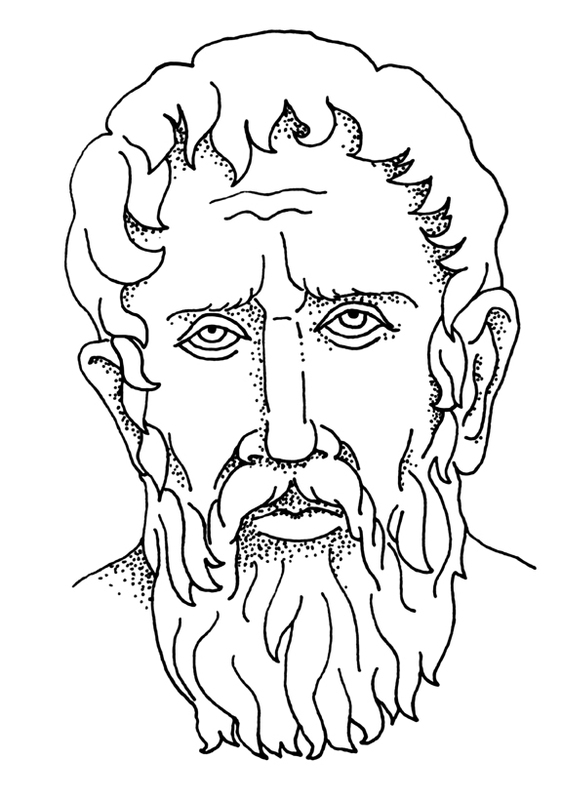 Parmenides and Zeno were of the Eleatic school that argued logically that change and motion were impossible. 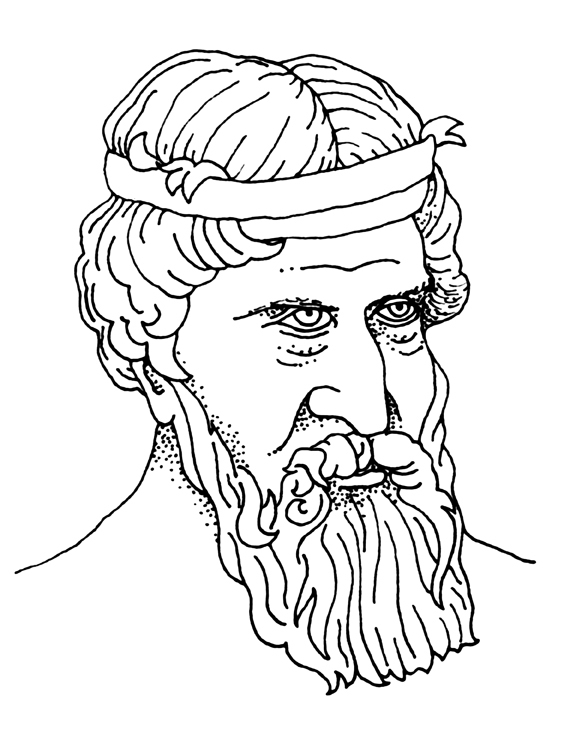 Zeno’s famous Achilles and the Tortoise paradox is still a difficult test for students of logic. And of course we all know about Plato’s Allegory of the Cave. Each of them affected subsequent matter theories, including Aristotle and Democritus, and therefore influenced modern atomic theory as well. I’ve also gone through all my electronic files scattered over several hard drives just to take inventory and see what’s already done so that I don’t re-create files and duplicate effort. One piece of work I came across was a script for part of an episode of a mini-series that I proposed to the Sloan Foundation and to the Corporation for Public Broadcasting back in 2007-08. Sloan responded negatively without even taking the time to read the proposal. CPB at least looked it over, said the idea had merit, but declined due to having plenty of material related to the elements already in the pipeline. It was at that point that I reinvented this project as a series of podcast episodes; I wouldn’t have to worry about the limited airtimes and economics of scarcity of broadcast channels, but could put the finished material where anyone could access it for free. If you want to learn more about these issues, there are two great books I heartily recommend: First, read Thomas Friedman’s The World is Flat, which talks about the flattening of the global economy and many of the issues that have become so huge lately. Then, after you’ve gotten the general background, read Chris Anderson’s The Long Tail, which discusses the new economics of abundance that the Internet provides. Both books figure heavily in my grant application. I’ve even created animations and graphics to show how their ideas apply to science education. Yes, I know, they’re bad. But it brought me to an interesting idea that wouldn’t go away. I envisioned a subatomic particle telling these jokes as a stand-up routine, and suddenly the whole thing popped into my head fully formed. 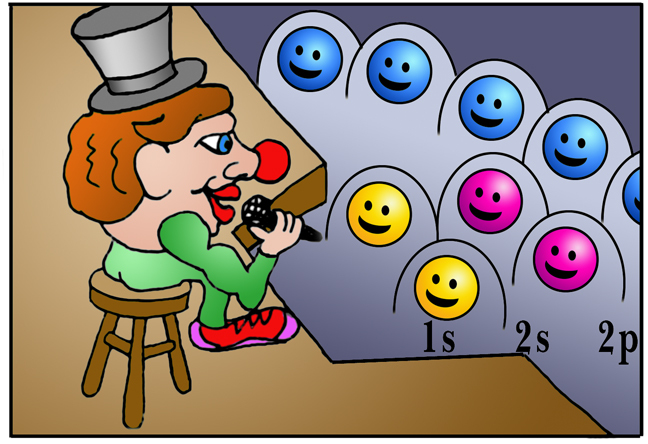 The particle’s name is Boson the Clown, and he’s telling these jokes to an audience of electrons in an atom and as he does so, he throws photon balls at them which makes them vibrate and get excited until they jump up to higher balconies of the comedy club – they quantum leap – and that this would make a good illustration (if with a somewhat warped sense of humor) of how bosons work to aid energy interactions between particles. The name of the club is the Atomic Comic Club, and I’ve written an entire script of the scene which I hope to animate in 3D at some point. 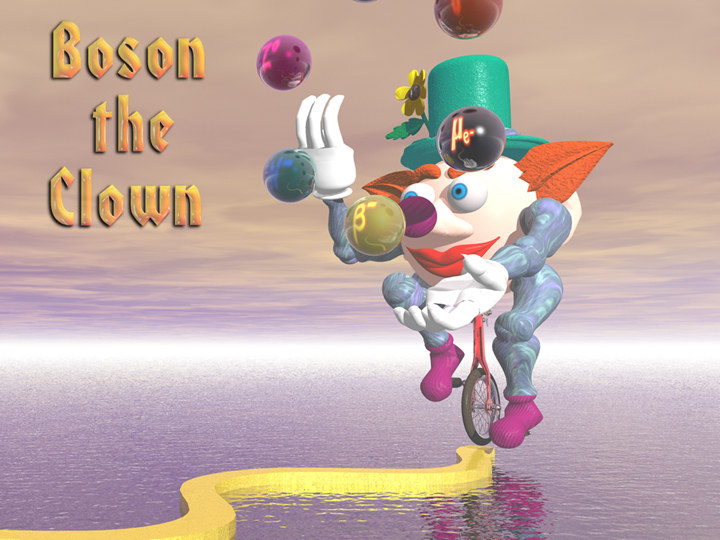 I’ve done some sample models over the years just to try to visualize what he’d look like, riding a unicycle on a wavy path in a Feynman diagram tossing photon balls at electrons. I’m including the script of the scene here, just in case you’d like to read it and make comments or tell me I’ve finally flipped. Eventually perhaps the footage that we’ve taken for The Elements Unearthed can be re-edited into a mini-series for PBS as I originally planned (as well as a book, games, on-line materials, lesson plans, posters, etc.) but that will be after we’ve completed the first several phases of the project and have about 100 episodes posted. For now, I’ve got to get back to my editing so that you can finally see what I’ve been talking about all this time.